Good Choice Reading: Cover Love: Breaking Point by Kristen Simmons! Cover Love: Breaking Point by Kristen Simmons! There isn't a blurb yet available, but Ah! I cannot wait! I loved Article 5! 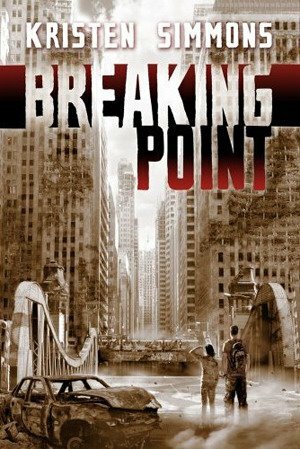 I love how Breaking Point matches the cover to Article 5. You can read Maria's review of Article 5 here HERE. What do you guys think of the cover? Did you read Article 5? If so, what did you think of it? I really like how the covers are similar in style. I haven't read Article 5, but it's on my list somewhere. Wow this is a haunting cover. Article 5 was amazing, cannot wait for Breaking Point! I am dying to read these books! I've seen nothing but great reviews. 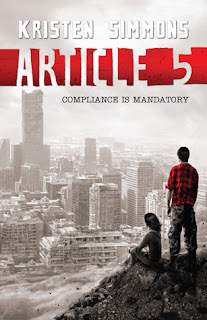 I actually have Article 5 somewhere in my bookshelves, must find and read:) Thanks for the review.